NEW YORK -- Chipotle says it temporarily closed a restaurant in a Washington, D.C., suburb after reports that customers had become ill, a possible setback in the chain's efforts to recover from past food scares. The company says it shut down a location in Sterling, Virginia, on Monday after becoming aware of a "small number" of reported illnesses. It says it is working with health authorities to understand the cause, but the reported symptoms are consistent with norovirus. 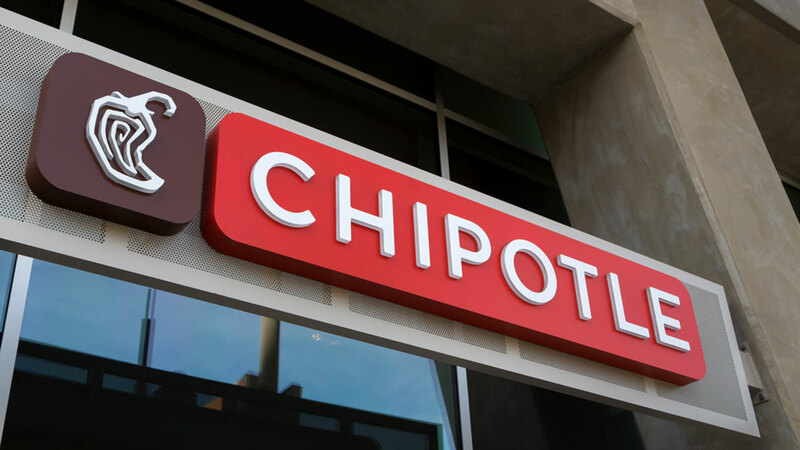 Chipotle says it plans to reopen the restaurant Tuesday after a "complete sanitization." The Denver-based company notes that norovirus does not come from its food supply and it is safe to eat at its restaurants. In addition to reassuring customers of the safety measures it has taken, Chipotle had been giving away coupons for free burritos and stepping up marketing to win back customers. For the first three months of this year, sales were up 18 percent at established locations. That followed a 20 percent decline for all of 2016. Norovirus is the leading cause of illness and outbreaks from contaminated food in the United States, according to the Centers for Disease Control and Prevention. Infected employees are frequently the source of the outbreaks, the CDC says, often by touching foods such as raw fruits and vegetables with their bare hands before serving them. Symptoms include nausea, stomach pain and diarrhea.